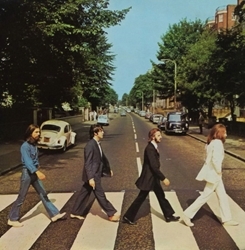 Paul McCartney reveals why he went barefoot for iconic Abbey Road cover . Beatles Radio: The Beatles, Solos, Covers, Birthdays, News The Fab 4 and More! The Let It Be singer recently returned to the scene of the photo as he recorded his new album Egypt Station at the legendary London studio, and shared a video of himself crossing the road on Instagram, much to the delight of die-hard fans. During the raw question and answer session the Liverpool-born star also revealed how the people and humour of his hometown in made him the man he is today and revealed his favourite memory of growing up in the Northern city.